Situated in Ilsenburg, this pension is within 6 mi (10 km) of Museum of Aviation and Technology, Buergerpark, and Wernigerode Marketplace. Wernigerode Town Hall and Christianental Wildlife Park are also within 9 mi (15 km). 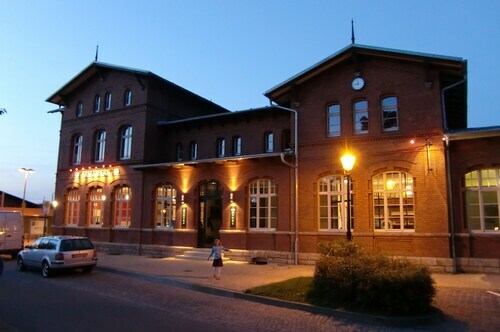 Ilsenburg Station is only a 1-minute walk. Situated in Ilsenburg, this spa hotel is within 9 mi (15 km) of Museum of Aviation and Technology, Buergerpark, and Wernigerode Marketplace. Wernigerode Town Hall and Wernigerode Castle are also within 9 mi (15 km). Ilsenburg Station is 21 minutes by foot. How Much is a Hotel Room in Ilsenburg? Hotels in Ilsenburg start at $93 per night. Prices and availability subject to change. Additional terms may apply. Are you planning a vacation in Harz and hoping to get basic or more upscale spots to stay in Ilsenburg? There are a few places to choose which can be booked on Travelocity's reservations page. Ilsenburg features 8 short and long-stay options within an easy commute to the CBD. Discover the attractions next to the heart of Ilsenburg. Accommodation options located around the area include Kurpark-Hotel Im Ilsetal and Waldhotel Am Ilsestein. 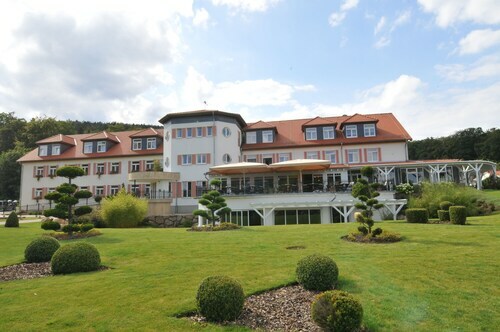 The Ringhotel Weißer Hirsch is positioned 6 miles (10 kilometers) from the main part of Ilsenburg. If you would prefer another option, the Landhaus Zu den Rothen Forellen is about 2 miles (3 kilometers) away. Two more hotel and apartment options in the Ilsenburg area include the Travel Charme Gothisches Haus along with the Maritim Berghotel Braunlage. Once you have looked around Ilsenburg, why don't you tour a little further afield? The Saxony-Anhalt area is home to many things to check out. Saxony-Anhalt is home to forests and rivers, and commonly visited sights include castles, old towns and fortresses. Adventurous travelers may enjoy snowboarding and skiing in the region. Goslar is 11 miles (17 kilometers) to the northwest of Ilsenburg and is home to Goslar Imperial Palace and Mines of Rammelsberg. 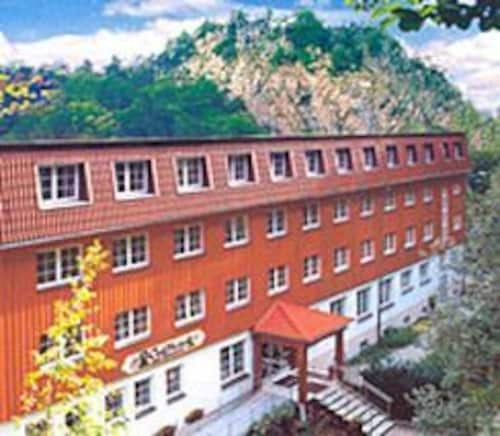 The Altstadt Hotel Gosequell and RAMADA Hotel Baeren Goslar are a few of the convenient short and long-stay options in Goslar. 11 miles (18 kilometers) south of Ilsenburg, you can also stay at Sorge, home to the Hotel Tannenpark and Landhausferienwohnungen Am Brockenblick. If you visit Sorge, make sure you venture to the Grenzlandschaft and Museum Sorge and Ring der Erinnerung. Simply because you and your traveling partners are on vacation, should not mean that you can't enjoy your love of stadium sports. You can find HDI Arena 55 miles (85 kilometers) to the northwest of Ilsenburg. Book Travelocity-listed accommodation in the thick the action at the Cityhotel Königsstraße or the Sheraton Hanover Pelikan Hotel. Hannover Airport is located 60 miles (94 kilometers) from Ilsenburg's central precinct. Enlightened travelers who desire to find accommodation in the area can easily secure a convenient option in the Leonardo Hotel Hannover Airport or Maritim Airport Hotel.